Throughout American film history, images of black queer women have largely been exploited, misconstrued through stereotypes, or altogether absent from cinema. 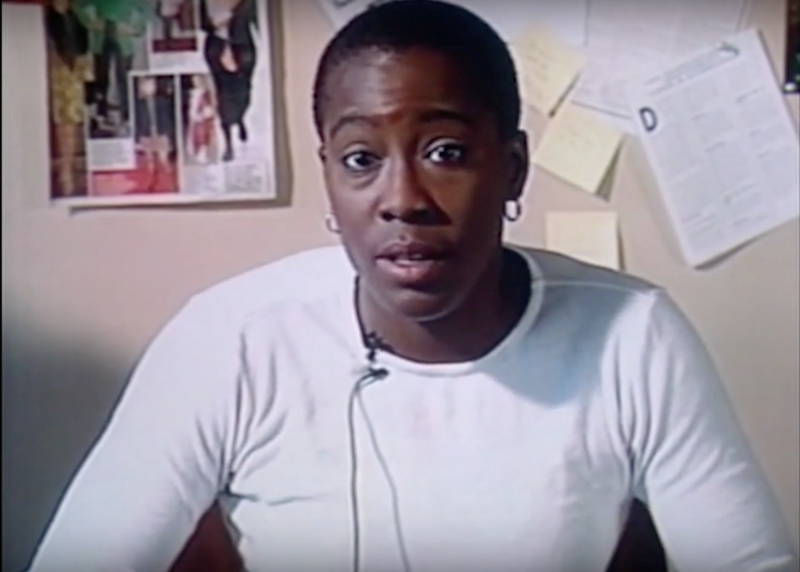 Cheryl Dunye’s essential lesbian film The Watermelon Woman (1996) exposes and reworks these ideas to create a space for black women to tell their stories themselves, and have them heard. 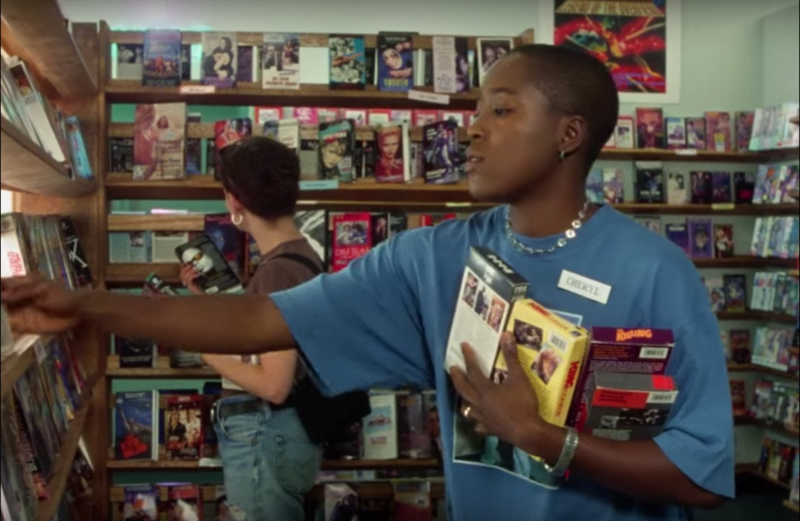 The first feature film directed by a black lesbian, the film is still massively underappreciated, and relatively unknown amongst younger queer audiences. A simple search on Letterboxd will show you that less than 1,500 people have the film logged, and yet its affectionate and often deeply personal reviews reveal that those who have sought it out have found themselves pondering just why it took them so long to find it. The film tells the story of Cheryl, a young lesbian filmmaker who decides to make a documentary about a stunning black actress she notices playing a maid in several classic movies. 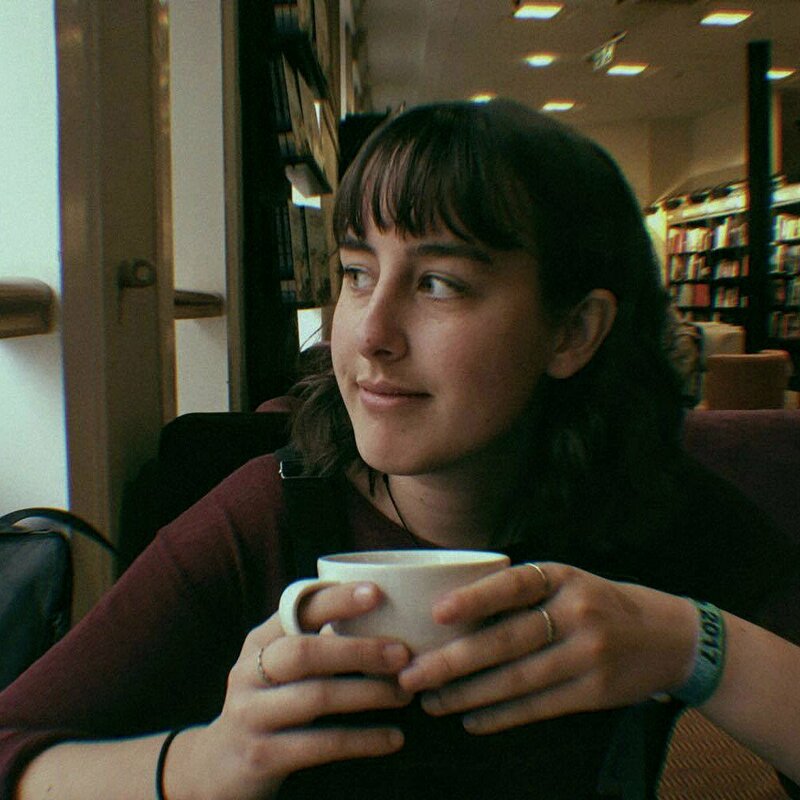 Her favourite is a Gone with the Wind-esque epic named Plantation Memories, in which the woman is credited only as ‘The Watermelon Woman.’ Cheryl’s connection to the woman is felt instantaneously – she finally feels as though she has seen someone on screen with whom she truly identifies. Cheryl’s quest for information is documented through interviews and archive searches, filmed by Cheryl and her best friend Tamara. The main narrative subplot also explores Cheryl’s relationship with a white woman, Diana, whom she meets at the video store she works in. The film is semi-autobiographical, filmed in a quasi-documentary style featuring Cheryl as herself, which instigates discussion on black lesbian authorship and the necessity of self-representation precipitated by the absence of black women and lesbians in film. The film’s plot is also heavily focused on film history and Cheryl’s quest for identification through her connection with a black actress, and through this the film highlights the exclusion of black women from film. 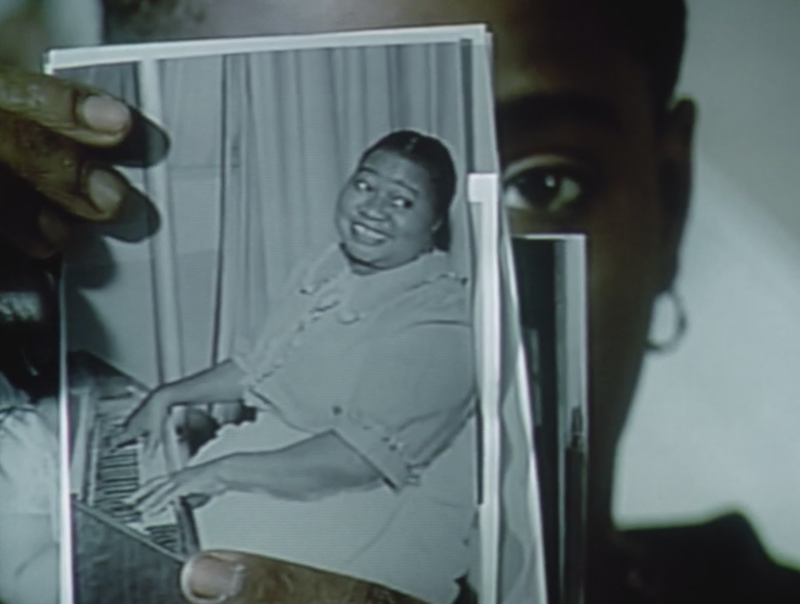 Scenes of Cheryl searching film and black history archives across Philadelphia reveal the ridiculous difficulty of finding any information pertaining to The Watermelon Woman, despite her extensive career in film. Conversations with archivists are almost laughable in their blatant ignorance of black female representation, passing off their lack of relevant materials as ‘not their expertise,’ or some other lame excuse. Cheryl is dumbfounded by the ghost-like existence of The Watermelon Woman – whose real name she discovers was Fae Richards – as if she simply did not exist beyond the screen. However, an interview with her mother in her home reveals that Irene Dunye remembers Fae’s later career as a nightclub singer, which opens an exciting new lead in Cheryl’s investigations. The film’s pseudo-realist style and Dunye’s decision to star as herself also facilitates the idea of black women, and particularly black queer women, retroactively writing their own history. By presenting the film to be perhaps interpreted as real, Dunye can create a place for herself and other women like her in film history. Though some might accuse the director of bending the truth, this only betrays a lack of understanding that even though Fae, Plantation Memories, and indeed this version of Cheryl, may be fictional, they stand in place of thousands of real black women throughout the history of film whose presence and accomplishments have been erased. This is a subject also explored in Julie Dash’s short film Illusions (1982), in which a white-passing African American woman working at a film studio struggles with participating in the popular process of using black singers to dub white actresses in films, leaving the real talent uncredited. The Watermelon Woman is everything you want from a mid-90s comedy drama; it’s light viewing, and full of sharp humour and a keen self-awareness, and its low-budget visual aesthetic and dodgy sound quality only add to its charm. One of the film’s funniest scenes features Cheryl being set up on a terrible blind date by Tamara, resulting in a hilariously off-key serenade of Minnie Riperton’s “Loving You,” by Cheryl’s unfortunate date. Dunye’s shrewd lesbian humour is undeniable, whilst never muffling the importance of her film’s message. Amidst the jokes, there are the sobering moments of realisation in terms of the daily prejudice Cheryl faces – at one point she is stopped by police on the street and blindly accused of having stolen her own camera equipment. The film also makes no secret of the disparity between Cheryl and Diana during their relationship in terms of the latter’s significant privilege as a middle class white lesbian. Dunye is unafraid to show us that everyone desires – needs – representation on screen; we all project parts of ourselves onto visual media and absorb others, hungry for the sense of validation that comes of self-recognition. But when you simply cannot see yourself on screen, you are rendered invisible, lost to time, and Dunye’s story is an exercise in the courage and ingenuity of establishing your own history when nobody has done it for you.